Pastor Eric came to Christ the Servant in August of 2009. He makes Bellingham his home with wife Chris and boys Simon and Andrew. His journey to Bellingham has taken him many places; early childhood in South Dakota, High School years in Tucson, College in Los Angeles, youth Ministry Internships in the Seattle area, missionary service as a lay person and as a Pastor in Japan, and pastorates in western and southeastern Minnesota. His seminary journey included his M.Div. at Luther Northwestern in St. Paul, and a D.Min. in Homiletics at the Lutheran School of Theology at Chicago. Pastor Eric feels privileged to serve at Christ the Servant - as a partner in ministry with so many gifted and giving members of this part of the body of Christ. He especially loves preaching and leading worship, teaching adults and kids, visitation and conversation in moments of crisis or transition, and working with individuals and groups within the Church to match gifts and abilities with opportunities for ministry. A longtime member of Christ the Servant, David Westerlund is now serving as our Interim Youth Ministries Director. With roots in New York State, David has been planted by God in ministry settings in Campus Ministry during University days in Pennsylvania and in the Pacific Northwest as part of the ministry staff of Tierra Nueva extending Christ's presence in ministry with persons incarcerated and returning to our larger society. Drama and Improve are recent tools which David has been using to open communication and build bridges between persons and groups. Trained as an Engineer, David now finds joy putting the pieces together so that kids and families can encounter Christ Jesus in their lives. Jean bring a rich history of life, volunteer, and work experiences. A native of southern California, Jean’s life has been profoundly shaped in the journey’s she has shared with her spouse, Robin. As a professional football coach, Jean’s husband has served at colligate levels in California, Ohio, Oregon, Washington, Iowa, and Wyoming. Some among us will remember Robin Ross as Western Washington University’s final Head Football Coach. Along the way, Jean has invested herself in each new community, both as a colleague in a variety of professional settings, and as a volunteer in local service groups. Jean comes with a passion for service. She brings a humility and gentleness which will be the first public face of our congregation to many in our community and future. 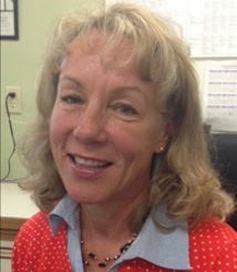 Jean will be present in our Office Monday through Friday, from 9:00 ‘till 1:00. She will field phone calls and emails, tend our shared ministry calendar, and shepherd our publications.